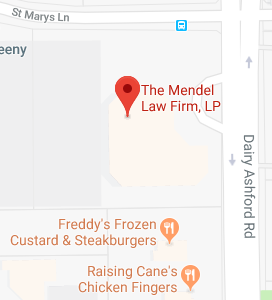 Steve & all the staff at the Mendel Law Firm have been great. They helped with the formation of my P.L.L.C. without the need of any effort on my part. They are very knowledgeable & efficient. Very pleased with the professionalism & character of all folks at the Law Firm. They really know what they’re doing & made it easy on us as possible. Left us with a high degree of confidence & assurance. Excellent experience with Mendel Law Firm. Everyone took time to explain things and answer my questions. They were very responsive and helpful. Will definitely recommend and use in the future. The Mendel Law Firm has represented us for 25 years & it is the best firm we’ve ever had. The attorneys & staff at Mendel Law made our estate planning seamless and easy! I highly recommend them. I have had the occasion of working with several of the attorneys and employees at Mendel Law Firm. Everyone is extremely professional yet personable and caring. I am very happy that we discovered this firm and will continue to use and / or recommend at every opportunity. Thorough & Professional Trust and will documentation. The Mendel Law Firm is very knowledgeable and provides me with great security for the future. They took time to explain everything and showed great knowledge and patience. I am totally impressed with their service. Very professional, always willing to stop & answer any questions or concerns. Always make sure you are comfortable. Very thorough, covered a lot of things that I did not think of.